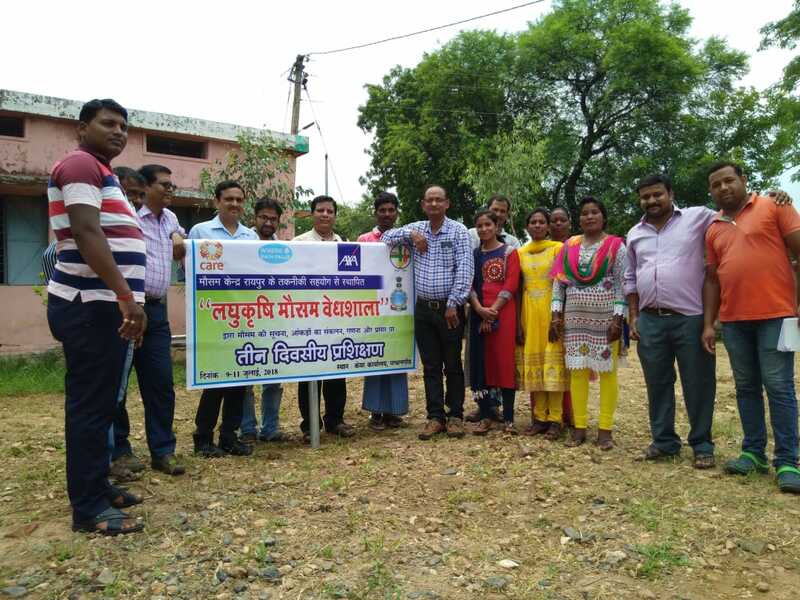 CARE India with support from AXA has been implementing Where the Rain Falls (WtRF) project in 40 villages of Bagicha and Pathalgaon blocks of Jashpur district, Chhattisgarh. The project aims to increase the resilience of 3000 tribal women and their households to shocks and stresses around water and improve their access, control, and management of natural resources. Since 2013, WtRF’s interventions have focused around Climate Change Adaptation through a combination of approaches including promotion of Climate Resilient Agriculture (CRA); improved Water Resource Management (WRM); and local Institutional Strengthening (IS) for improved governance of natural resources. The CRA component involves promotion of climate-resilient crops and alternative cropping patterns, supported by the convergence and integration of traditional knowledge and practice systems; improving the productivity of rainfed agriculture through WRM efforts include demonstration and support for adoption of soil and water conservation measures, promotion of 5% water harvesting and percolation structures, piloting water audits to ensure optimum utilisation of water in homes and on fields, and rehabilitation of existing water structures through government support. The IS component involves strengthening of Village Development Committees (VDC) for development of Community Action Plans (CAP) and advocating with the government departments for community’s access to benefits and entitlements to implement CAPs; strengthening, Water Resources Management Committees (WRMC) for equitable supply and distribution of water; and supporting Joint Forest Management Committees (JFMC) for improved forest protection and sustainable use of Non-Timber Forest Produce (NTFP). Around 2015, WtRF started working on Climate Information Services (CIS) to improve the access of women farmers to timely and useable information on basic parameters – temperature and humidity. For this, weather information boards were established in all project villages. Based on access to mobile devices and connections, 1200 farmers were also linked with SMS based agro-met based advisory services. The CIS intervention is helping tribal women smallholders and their households to take appropriate cropping decisions and enhancing their resilience. For deepening of the CBA package in project villages, WtRF has now set up two mini agro-met observatories in Kharkata Gram Panchayat of Pathalgaon block and Bhitghara Gram Panchayat of Bagicha block of Jashpur. WTRF has received valuable support in this endeavor from the Indian Meteorological Department (IMD), whose two meteorologists Shri H. P. Chandra and Shri N. S. Mehta made a three-day visit between 9th and 11th July 2018 to the project sites for setting up the two mini observatories. During the course of their visit, they oriented the project team as well as VDC and SHG representatives responsible for managing the mini-observatories on “Collection and dissemination of weather information”. The trained women representatives will collect information on average wind speed, amount of daily rainfall, minimum and maximum temperature, morning and evening humidity, earth temperature, amount of evaporation, and moisture levels in air from the mini-observatories. This weather information collected in a decentralised manner will be shared to India Meteorological Department (IMD), Raipur on a daily basis; IMD will convert this information into Agrometeorological Advisory Services (AAS) messages and disseminate the same to the farmers in the villages surrounding the mini-observatory on a weekly basis. The information is expected to help farmers to make sound cropping decisions for improved resilience. The AAS will benefit many farmers in the adjoining villages, apart from the 3000 women smallholders and their households who are the impact population of WtRF. The weather advisories will also be shared among the NGOs and Farmers Producer Organisations operating in the district for wider dissemination for utilisation. Both the mini-observatories are established in the premises of Gram Panchayats which have come forward to make available land for this purpose based on resolutions passed by them. The care and management of the mini-observatory have been assigned to the Village Development Committees (VDC) of respective villages where the mini-observatories are established. In due course, the responsibility will be transferred to the Gram Panchayats for long-term sustainability of the CIS infrastructure. 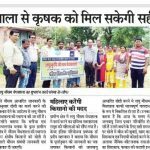 This small initiative by CARE India is one of the innovative and first of its kind in entire Chhattisgarh towards collection and dissemination of climate-related information and promotion of climate-resilient agriculture in the area.